Since last June when my son bought his house in San Diego and I spent a couple weeks working on it, he has done a lot more by himself. Rather than me being the lead, he is now taking the lead and I help him. He has done a great job of jumping into this home ownership business. With him taking the lead, it means that I run to Home Depot for him if he is working the main project and in the attic. 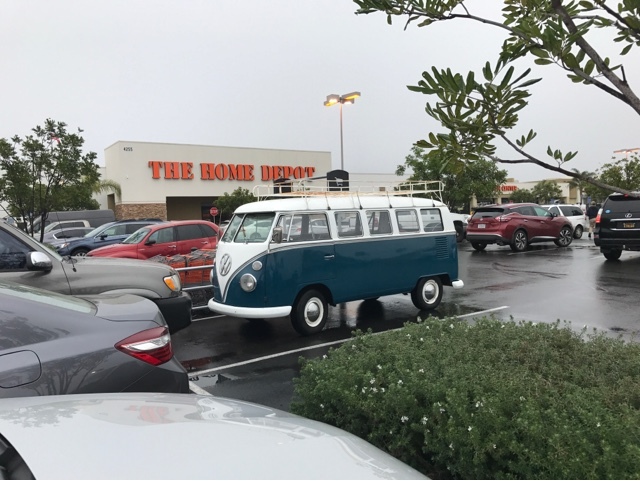 I did this (go to Home Depot) twice on Saturday and I was lucky enough to catch this antique VW Bus in the parking lot making my trip more enjoyable. My son was installing bathroom vents in two bathrooms, where neither had any before. Adding vent fans, also required some changes in the old wiring in the walls and to the switches. The wiring also needed to be augmented to control the fans and to fix some of the wiring to the lights. 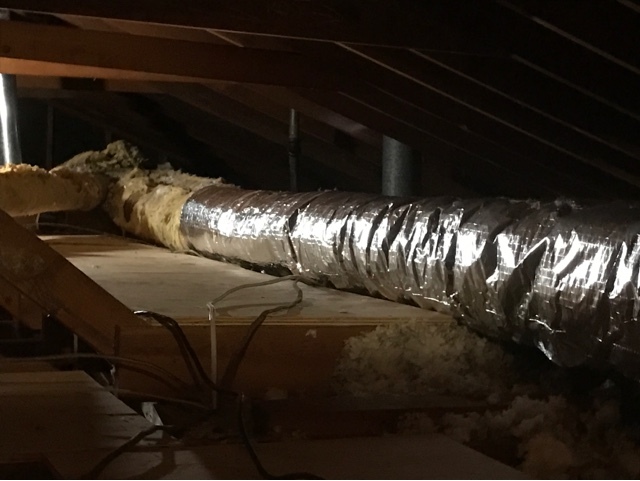 I took on adding insulation to the heating and cooling ducts, as this too should be done before more insulation is added to the attic making moving around more difficult. 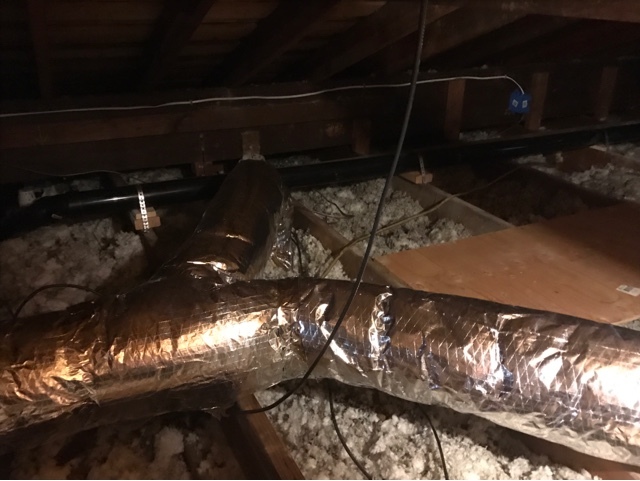 My son is looking to have insulation added to his attic so his work on the ceiling fans, wiring, ductwork, needs to be done prior to adding insulation. Since I did the pipe insulation wrapping on Saturday and I am writing this section of this post on Sunday, I can tell you that even with all the disc golf and hiking I have done, I wasn't sore. 24 hours after crawling in the attic for hours balancing on rafters, I am sore in mussels that I don't usually use. Saturday night I was on my own so I decided to go to a movie. The LOT is an upscale movie theater with large reclining seats with your own end table and dining table that swings out of the way. This plush setting is augmented with light food service at your seat where you can be delivered food and drinks including alcohol beverages. 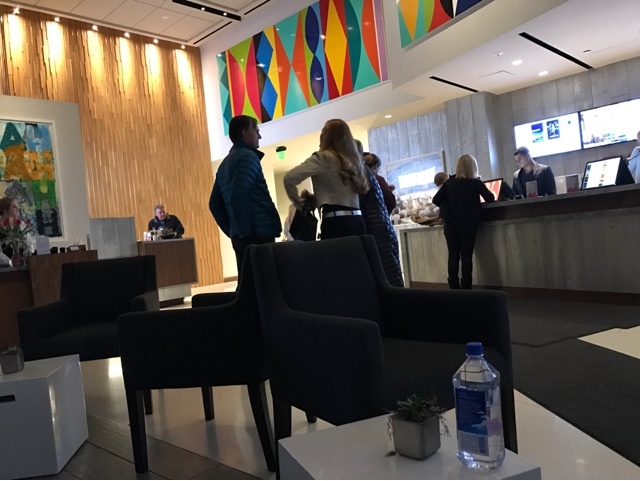 This is the lobby of The LOT. To the left is a full size restaurant and to the right the theater. 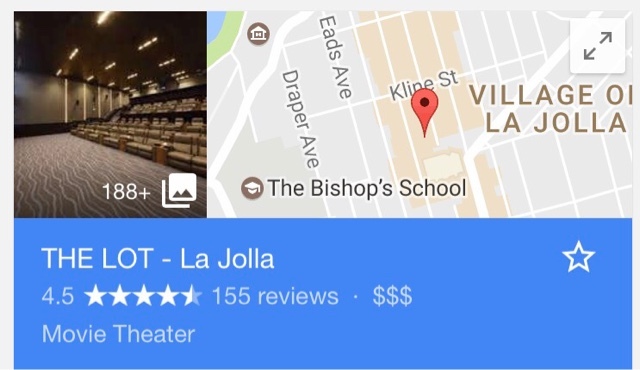 Tickets for the show is $21.50 and the bathrooms have attendants. I reserved my seat online and good thing I did as the theater was sold out to see Fifty Shades Darker on the opening weekend. There is a surcharge for ordering the tickets online where you choose your seat. 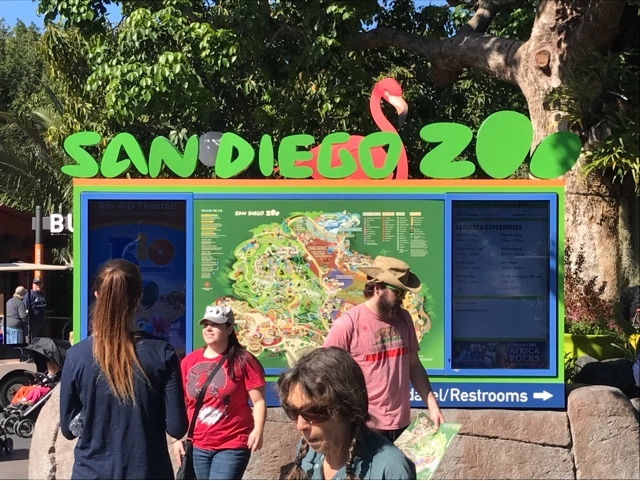 Sunday it was off to The San Diego Zoo. As I've stated before this is a world class zoo that if you are in town you shouldn't miss. We have season passes so it makes it a great place to take the granddaughters. 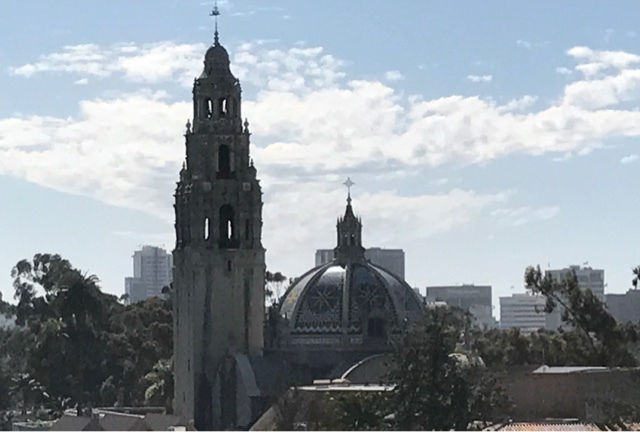 Here is a view from the zoo sky ride looking at the buildings in Balboa Park built for the 1915 Worlds Fair. If we are all good on the weekend we go to get ice cream. 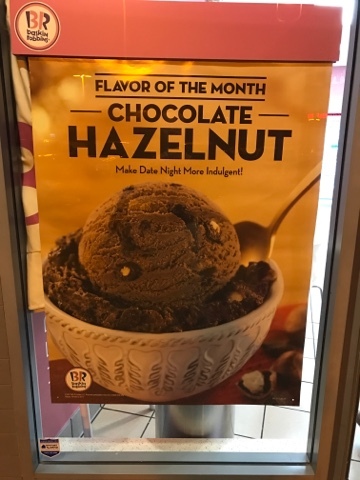 I guess we were all good, as we went to Baskin Robbins and I got the flavor of the month.